Hi my name is Dr. Paul Bajor and this is a quick video to talk to you about seizing the opportunity. Anybody who knows me knows that I’m a pretty avid runner and most of the times when I’m at home, running on the treadmill, I think to myself, “boy oh boy, if I could be out in a tropical country, it would be so much easier to run, there would be so much more incentive.” But yet even when you’re out here, sometimes that incentive isn’t as big as you’d want. So this morning, I woke up extra early, decided to come out to the beach, I never get a chance to do any beach-time running, and figured I’d seize that opportunity that I have, those last few days that I have on holidays and make the most of it. So the point of the video is that you should take any opportunity that you have, whether it’s twenty minutes while the kids are on their way home from school, or whether it’s getting front row tickets to a hockey game, you want to take that opportunity that you have and seize that moment because you never know when you’ll have another opportunity for that. 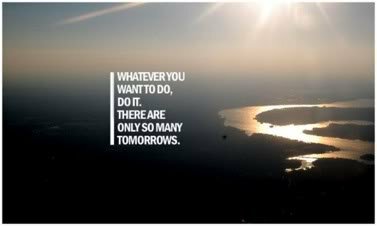 That way you maximize living and doing what you really want to do! Hopefully you will take that, apply it, and enjoy! This is our first video blog post so excuse that the camera angle was vertical rather than horizontal. We won’t make that mistake again! Be able to buy organic with saving money elsewhere! In the realm of health, there are many different facets: good nutrition, proper exercise, and healthy habits creating a healthy lifestyle. One thing that we have to keep in mind is being smart with our money. How do you get to choose those organic fruits and vegetables and whole grain products that are typically more expensive? By saving in other areas. Good health is not cheap, but it doesn't have to be expensive. Here's how you do it. Be a smart, health conscious consumer. Make the right choices for your family. Save money while doing so. It's not only about the good food you buy, but the good deal you get buying that food! Please feel free to visit our south clinic's website at www.accesschiropractic.net and our north clinic's website at www.accesschiropracticnorth.ca, and our Facebook page at www.facebook.com/accesswellness! You can also call to book with Dr. Bajor at the north location behind the Superstore at 403-945-1349 or contact the south location in the Airdrie CO-OP at 403-945-0855 to book with Dr. Jacqueline Boyd! 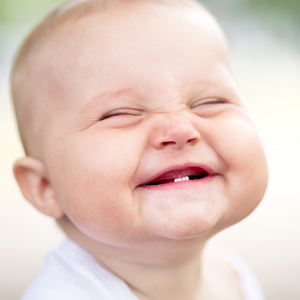 Smiling scientifically proven to make you more successful – READ THIS! I was going through the Tim Horton's drive thru the other day and the lady who took my order was so cheery and bubbly through the speaker it made me laugh. Then when I paid for my order, she was so unbelievably nice and kind and made me feel really good that I couldn't help but keep smiling for the next 10 minutes. I wasn't having a bad day, but instantaneously I felt better. So I thought, what really happens when you smile? Smiling actually takes less energy than frowning believe it or not. I know society is all about exercising as much as you can, however this is source of exercise I highly recommend we abandon! It takes less muscles to smile than it does to frown. On a purely metabolic and physiological basis, you should conserve energy and smile more. Think of how much more productive you could be in life when you have more energy? When you experience a positive event, neural impulses travel from the brain cortex to the brain stem, and then to the muscles that cause you to smile; however, once you smile, those signals are then sent back to the brain re-inforcing our feelings of joy, a positive feedback loop. Smiling stimulates our brain's reward mechanisms in a way that even chocolate, a well-regarded pleasure inducer, cannot match. Smiling has the same effect on our brain as exercise - it makes us feel good, and the more you do it, the better you feel, it loops repetitively. MRI's show that when a person smiles, certain parts of the brain light up. If you make someone else smile, those same parts of the brain light up. Smiling can change our brain: the brain actually keeps track of the number of smiles and how often you smile, and in this manner it can determine what emotional state you are in. 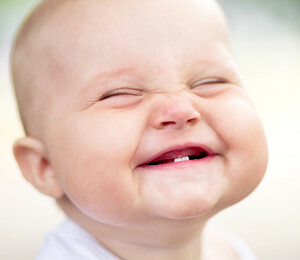 More smiles = better emotional state! And some more crazy smile stuff: there is a prominent research study known as the Yearbook Study that tracked the lives of women who had the best smiles in yearbook photos compared to the rest. Women who smiled the most lived happier lives, happier marriages, and had fewer setbacks. Another study known as the Baseball Card study showed similar findings. There was a clear correlation between how big a smile someone made on a baseball card photo and how long they would live. Players who smiled the most turned out to live 7 years longer than those who didn't. Keep in mind these are correlations, not causations, however an interesting trend none the less. Now don't fret. If for some reason you have forgotten how to smile, or you have gotten yourself into a funk, you CAN re-train yourself to smile. All hope is not lost! Why can't you hear a Pterodactyl go to the bathroom? Because the P is silent. Got you started now! Please feel free to visit Airdrie Chiropractors Access Chiropractic and Wellness south clinic's website at www.accesschiropractic.net and our north clinic's website at www.accesschiropracticnorth.ca, and our Facebook page at www.facebook.com/accesswellness! You can also call to book with Dr. Bajor at the north location behind the Superstore at 403-945-1349 or contact the south location in the Airdrie CO-OP at 403-945-0855 to book with Dr. Jacqueline Boyd! Would you and your family like to see a movie for FREE? You are such amazing and wonderful patients! For the second year in a row, we are doing a patient appreciation event. 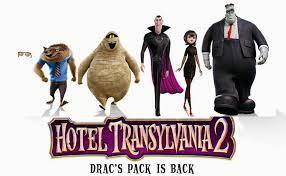 Access Chiropractic and Wellness, along with five other local businesses are renting the Roxy theatre here in Airdrie and we will be showing Hotel Transylvania 2 on Saturday, October 3, 2015! To have a chance to win tickets, all you have to do is fill out a leaf at reception for one thing that you are thankful for, and on the back put your name, phone number, and number of tickets that you would like for your family, and you will be entered in a draw. We will draw the week before the movie. All attendees will receive a gift bad and popcorn and water! Looking forward to seeing you there! The new sitemap is now up! Not complaining kids are healthy – NOT!!! Just because your kids don't complain of pain, doesn't mean that they're healthy. As parents, it's easy for us to take our children's health for granted because it's not often that they complain..... about their health, that is. And we typically don't hear or see the same sorts of things that we do with ourselves as adults. As a parent myself, it is rare for our kids to say they have neck pain, back pain, headaches, etc. When symptoms arise, only THEN do we listen. Or maybe we don't. "Your back is sore because you fell last week, don't worry, it will go away." "I'm sure your tummy is upset because you didn't eat well at lunch." "I know you fell flat on your head in gymnastics, but give it a few days, you'll start being able to turn your head to the right soon." (perhaps that last one was too much). Many children are overweight, chronically unwell, and are unable to concentrate. Kids have to deal with the stressors of the world too and it's important that we give them the tools to be able to be healthier and resilient. As parents, we can usually identify if something is not quite right with our kids, and if we suspect this, we should be asking questions: "why is my child chronically unwell? Why is he constipated? Why can't she concentrate?" If your vehicle was consistently pulling to the right and your tires started to wear oddly, would you simply replace the tires with new ones and continue driving a vehicle that pulled to the right? If your check engine light came on, would you simply put a piece of tape over it and continue driving? Of course not. That would be insane. Let's say your child has been constipated. I am sure you would probably wonder 'why' she is constipated, but would you be quick to give a laxative? I hope not. I hope you would ask some of the following questions: Is she drinking enough water? Is she eating too many bananas? Is she consuming too much rice? Is she eating a lot of sugary foods? Is her pelvis and low back out of line that is inadvertently putting pressure on her lumbar nerves that have direct innervation to the digestive system and that is why she can't pass stool? Our bodies, adults and kids, are remarkable in that they are able to heal and regenerate on their own...... when it is FUNCTIONING and COORDINATING itself WELL. We need to help teach our kids that health comes from within and that their bodies have tremendous intelligence and capacity to ward off illness, then early signs like a runny nose or a sore throat will not be seen as a signal to take antibiotics, but an indication that they need to slow down, get lots of rest, and boost their immune system with natural foods. Drugs are not always the answer. Don't doubt the body's ability to heal itself. If you cut yourself, you don't think twice that the wound will stop bleeding, close up, scab over, and be healed do you? But sometimes, when your body, your nervous system, is facing physical, emotional, and chemical stresses, your body is overloaded and cannot handle the barrage coming forward. Your nervous system is trying to handle a thousand things at a time, and normally it's really good at it, but given enough pressure and enough time, it's not a matter of IF it's going to fail, it's a matter of WHEN. Chiropractic is there to prevent that WHEN. Do yourself, your kids, your family a favour, get yourselves checked by one of the Drs. at our clinic. The healthier your nervous system is, the healthier you will be. Don't wait for your check engine light to come on. Some information in this article came from the February issue of the newsletter published by the ICPA, International Chiropractic Pediatric Association. Please feel free to visit our website at www.accesschiropractic.net or our Facebook page at www.facebook.com/accesswellness! 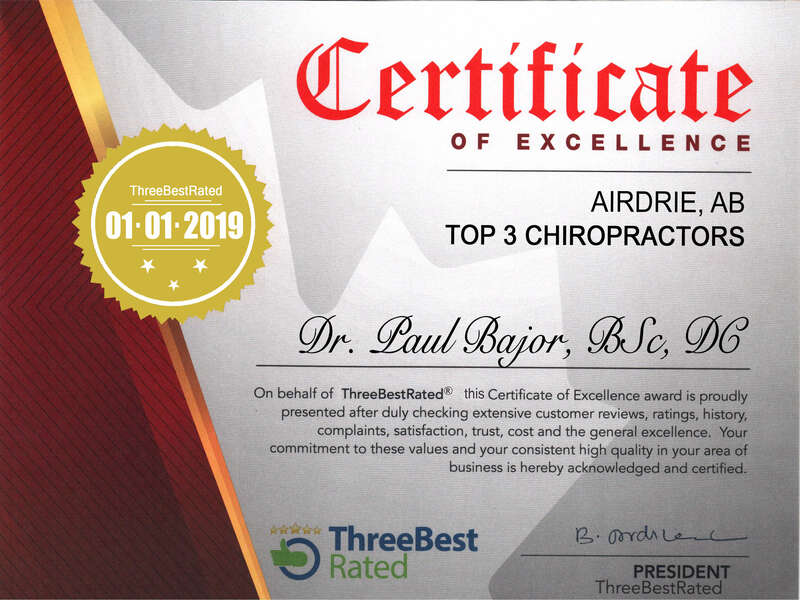 You can also call to book with Dr. Bajor at the north location behind the Superstore at 403-945-1349 or contact the south location in the Airdrie CO-OP at 403-945-0855 to book with Drs. Jacqueline Boyd or Katie Lingard! Healthy eating is one of the important parts of living a healthy lifestyle. Eating fresh fruits and vegetables instead of packaged, processed, preservative laced products is ALWAYS better, no matter what. However, if you have already made that transition in skipping most of the centre of the grocery store and staying to the perimeters where the fresh foods are, then let's take that step further and be more discerning about the type of fresh fruits and vegetables we eat. This is where the dirty dozen and the clean fifteen come into play. When we look at fresh food choices, we have to start looking at pesticides, handling, shelf lives, etc. and what that does to the quality and healthy make-up of that food. As well, aside from pesticides and fertilizers, you have to look at the government economics where financial breaks and subsidization are given to those producers who are commonly outside of our own country leaving our local producers at a disadvantage. I am not telling you to go 100% organic. There are always benefits and costs to all of this. 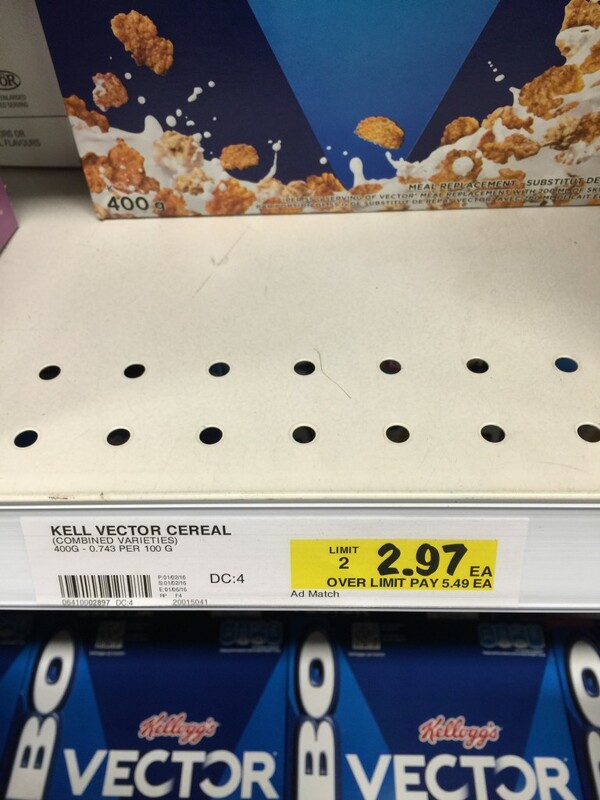 Organic often tends to be more expensive and more difficult to find. However, perhaps you can make better choices like choosing to buy foods locally (e.g. farmer's markets, go to u-pick berry farms, local meat providers, etc.). And if you decide to go one step beyond and buy organic, look at making some of your purchase choices organic. Take those foods that perhaps have the highest contamination and buy some of them organic. It's all about a matter of making a lot of small choices that all add up to big health. Remember, when you're buying produce as a whole, you shouldn't expect your tomatoes or apples or cucumbers or strawberries or raspberries to last for a week or more. Keep in mind that they have already traveled a long ways (most of the time) and they have already been sitting in warehouses or stores before they are out for sale. How much nutrition has been lost in that transition? FRESH IS ALWAYS BEST, no matter what, organic or non-organic. Just know you can always make a wiser choice! Summer vacation - chiropractic does not take one! One of the most common things that we hear at the clinic at this time of year is: "Well, we have a lot of trips/holidays/things to do/projects this summer so I think I'll just wait until September when the kids are back in school to come in for my regular adjustment. But if something comes up or I notice some pain, I'll make sure to book in earlier." I know that many of you may take summer holidays. Some take a few days to a few weeks, some take the whole summer off (maybe you're a teacher? ), but what is consistent across the board is that your body and your nervous system do not take time off. In fact, I could argue that it may be a time of the time of the year you may need an adjustment even more. Let's take for example what I did this weekend: Friday night mowed the grass, Saturday morning I rollerbladed/ran with the kids, and the rest of the afternoon was spent digging up part of my front lawn so that I could shove gravel under the front walkway that washed out over the years. 7 wheelbarrow loads of soil dug up. 17 25kg bags of pea gravel, transported from the store to the truck to our front yard to our walkway, pounded and compacted in with a rake.Sunday, all day, was spent with further pounding, then removing and lifting and moving 8 80 pound 3x3 flat concrete tiles, and smoothing the ground underneath, and then replacing those 8 80 pound tiles. For some of you, this is your occupation. For me, this is not a daily affair. The more time off I have in the summer, the more physical I am, whether for work or play. Many of you are in the same boat. Some of you are out waterskiing. Some of you may be camping and sleeping on those 'oh so comfortable' trailer or tent mattresses. And some of you may even be driving for long distances at a time to go visit those relatives whom you love so dearly that you will be willing to spend one week on their hide-a-bed. Is this different from your regular job? Is this a stress? Do you still require chiropractic care? YES is the correct answer for each of these questions. Sticking to your regular maintenance chiropractic care and ensuring all subluxations are cleared (whether there is more of a physical component than the mental stressors you normally experience or vice versa) is no less important in the summer. Sure, you may have to come at 10am instead of your 5pm 'on your way home from work' adjustment time, but sometimes I too like to live on the wild side of life! Keep up with your regular care and make sure you have a healthy nervous system all year round!